This was so much fun, both celebrating New Years Day + creating the comic style story. 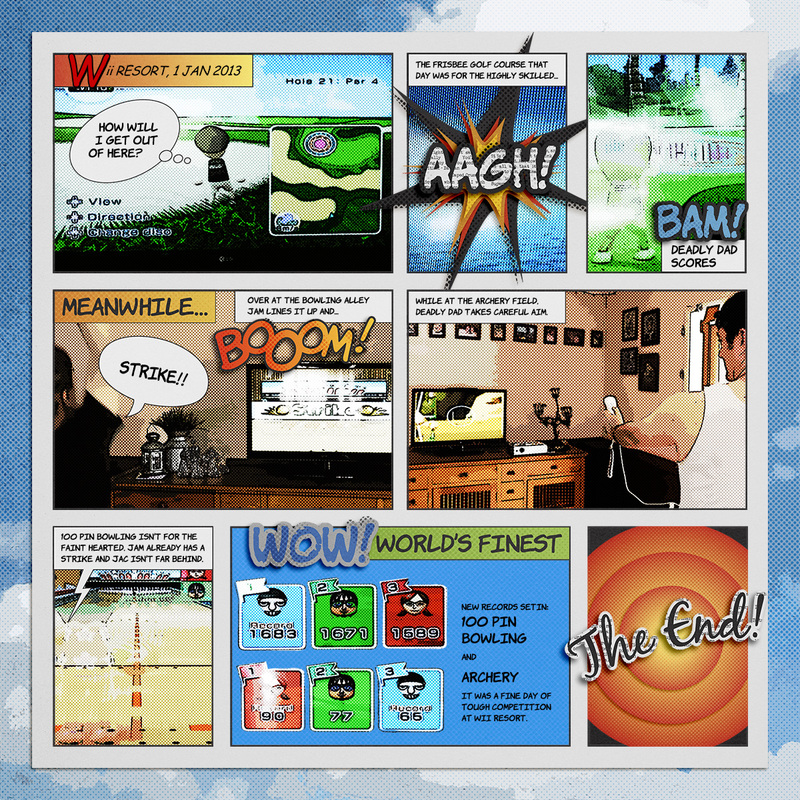 With a click of a button images were converted, ready to drag + drop on the pageGrids with speech bubbles and graphics. Super easy, super fun!